The two storms from this week have accumulated around 87cm (34") of low density new snow. Yesterdays observations saw moderate winds & blowing snow with 3" falling per hour. 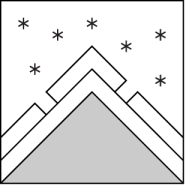 There will be much avalanche activity seen today as we get a glimpse into the alpine. Play it conservative. Slopes are loaded with wind & storm slabs ripe for release, dont be the straw! Strong winds & blowing snow have created very large, elongated wind slabs. Predominately winds were out of the Southwest & have loaded aspects from the NW-NE-S, although swirling winds were observed. Going off piste today will require you to investigate the new snow for instabilities. Look for: mid-storm & recent avalanches, dense snow sitting atop loose powder, snow pillows & unique texture of the surface snow. Expect drifted areas to hold much more snow than fallen accumulations, increasing the destructive potential of an avalanche. Up to 34" of low density new snow will be on the mountains. This new load rests on a melt-freeze crust which could act as a smooth bed surface for avalanches. Transport of this snow is actively occuring with terrain traps & features potentially holding pockets of very deep, unstable snow. Time is needed for this avalanche problem to decrease. The build-up of large cornices is eminent. These unsupported collections of wind driven snow are typically a problem for us in the BWRA. The steep terrain & exposed ridgelines form very dramatic cornices that break & initiate large avalanches, often propagating slabs. 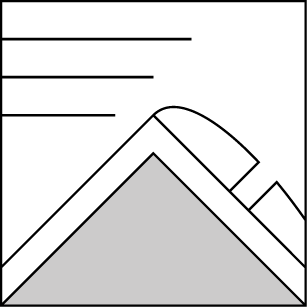 Always look for these signs & give cornices a wide birth, they can release farther back on a ridge than expected. The new snow will be unstable & highly likely to avalanche off steep slopes for the next couple days. 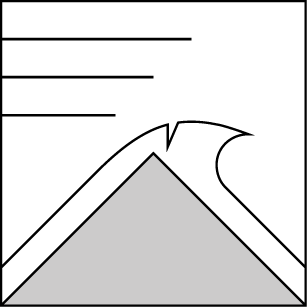 Our avalanche hazard encompasses problems such as: Wind slab, Storm slab, Cornice, Loose dry, & the lingering Deep slab cannot be ruled out. Do not gamble with the unknowns, make safe decisions. If we see clear skies & warm temps tomorrow look for Loose wet avalanche activity. Since Wednesday the BWRA has received around 87cm (34") of low density snow. The snow-water-equivalent is averaging 3.5- 4". Yesterday proved to be an adventure with almost 3" per hour & blowing snow, visibility was very poor. Avalanches were not observed due to visual restrictions, although they are definately occuring on all aspects & elevation bands. The main storm system has moved through our region leaving behind an unsettled air mass & convection driven snow for today. We could see up to an additional 3" of accumulation throughout today with clearing skies tomorrow. Winds will be moderate out of the Southwest, with strong gusts in the alpine this morning. It will be mostly sunny for the start of the week with an Atmospheric River moving in by Tuesday with rain & snow showers. Weather: Mostly cloudy with scattered snow showers. Cloudy with scattered snow showers late. Partly cloudy. Expected snowfall: 3 in. 2 in. 0 in. Temperatures: 15 to 20 deg. F. 0 to 5 deg. F. 22 to 27 deg. F.